Hamad Alyaarbi an eight-year-old Emirati boy who suffers from the debilitating condition Sickle Cell Anemia, has had his disease cured thanks to the use of stem cells from his younger brother, Abdullah, that were stored by CryoSave Arabia. At the beginning of 2017 Hamad’s parents had made the decision to use the cord blood stem cells from his younger brother, Abdullah, for a transplant to try and save his life. The transplant took place on 23rd June 2017, and almost a year later, Hamad is now completely cured and living a happy, healthy life, disease-free. Sickle Cell Anemia is one of the most common inherited blood disorders in the UAE, and the country is also reported to have one of the highest national frequencies of the disease in the world. A life-limiting illness, it causes the sufferer terrible pain crises, eventually leading to organ damage and stroke. 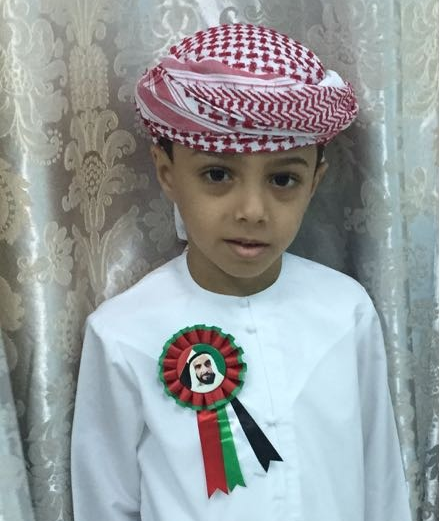 Hamad’s family, from Abu Dhabi, wanted to improve the quality of life for their son and requested the release of Abdullah’s cord blood from CryoSave Arabia, as heamopoietic stem cell transplant is the only known cure for the illness. Cryosave Arabia are an industry-leading stem cell banking service with state-of-the-art storage facilities in Dubai and across the world. They offer a selection of stem cell storage solutions for new-borns including cord blood, cord tissue, cord vessel and placental tissue. The transplant was carried out in the United States at Cincinnati Children’s Hospital Medical Center, in conjunction with CryoSave Arabia, where the sample was stored and shipped after in-depth testing in compliance with strict AABB (American Association of Blood Banks) and FDA criteria. CryoSave Arabia is the only AABB accredited facility in the United Arab Emirates. Dr Maryam Matar founder of the UAE Genetic Disease Association (GDA) added: “Cord blood is currently used to treat a variety of diseases. The stem cells extracted from cord blood have several advantages, some of which are known and some are yet to be discovered. Cord blood banking is an important, non-invasive method that allows families to be prepared for the unexpected. That is why I always encourage families that are expecting newborns to utilize cord blood banking.